Having spent the last week lying low and fighting off winter germs, I decided I would find some of my favorite photos from last summer to perk me up. 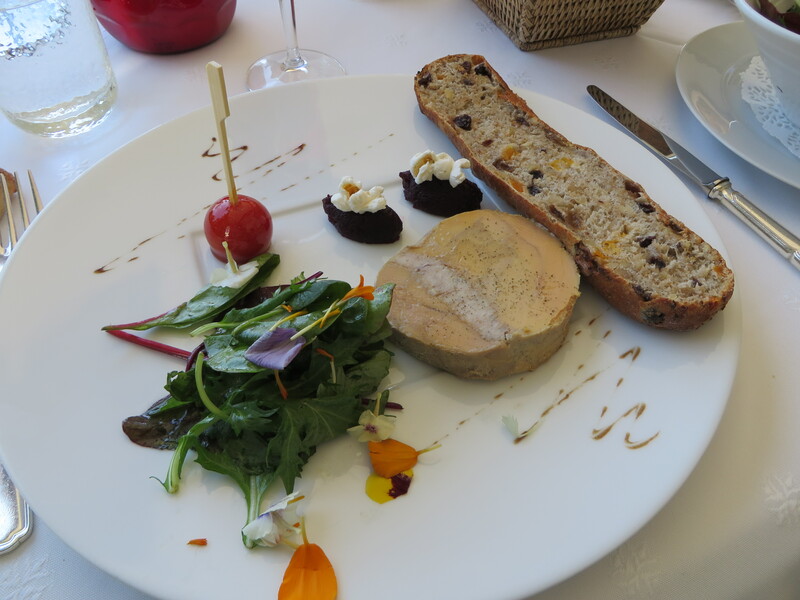 And what better than some of the fabulous meal we had a the restaurant of Logis du Guetteur in Les Arcs, especially the foie gras which is now a forbidden delicacy in California. And this is why I have returned to France so many times. 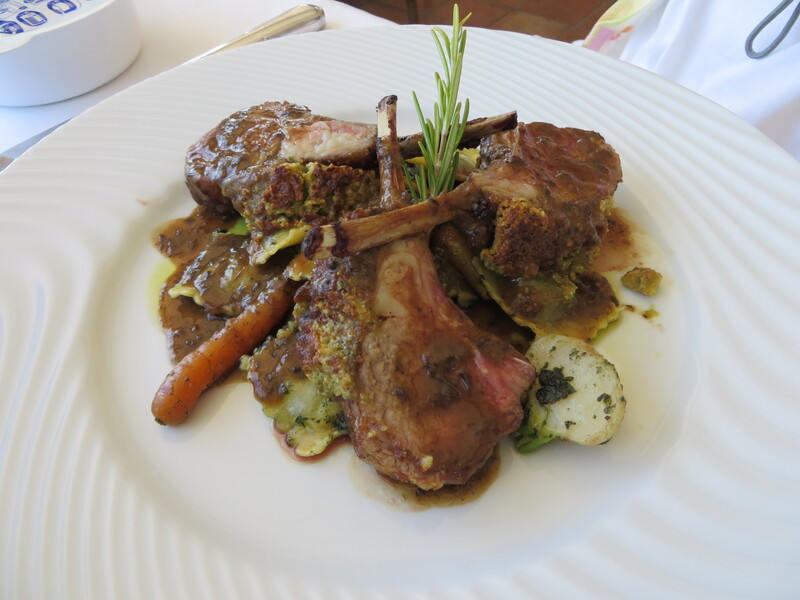 Because lamb chops are my favorite food group. 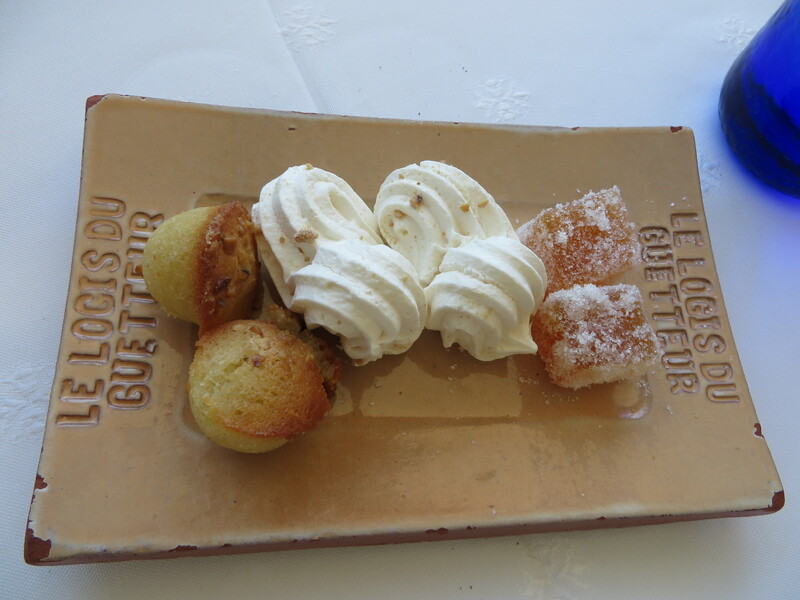 And does anyone here bring me an extra little sweet at the end of the meal? 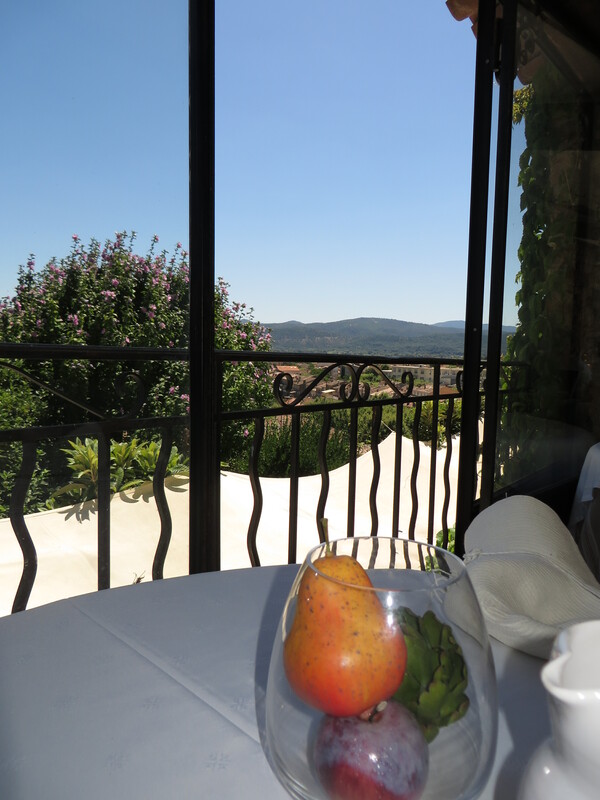 The folks at Logis du Guetteur do…and they throw in a fabulous view to boot. Gosh, I feel better already. I think I’ll go heat up my canned chicken soup…and dream of France.